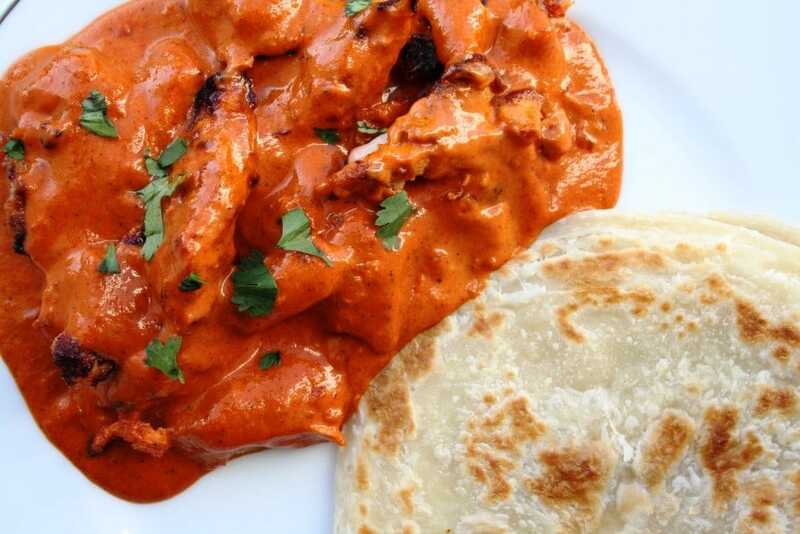 UK curry lovers can’t seem to get enough of Chicken Tikka Masala; the one thing that gets the appetite going for most Indians undoubtedly has to be ‘Butter Chicken’ or Murgh Makhani. Most Mughlai and Punjabi restaurants will serve you a plate of this goodness as do dhabas and street vendors. I could devour into an entire dish all by myself. Soft roomali rotis, naan or flaky parathas scooping up the thick spiced gravy of butter chicken along with succulent morsels of tandoori chicken with charred edges brings sheer delight with every mouthful. 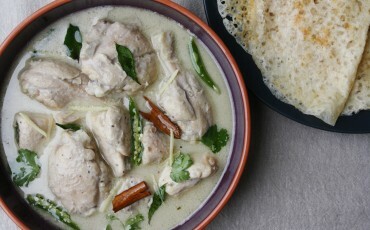 The heat/ spice of the dish combines with the rich gravy and slight sweetness that make it very hard to resist. With most dishes that have fond memories it’s the taste that lingers on even years later. Cooking Butter Chicken at home has always for me been about getting the flavours just right and like I knew they should taste. This recipe is one that I can say is an absolute hit every single time with family and friends. There’s no calorie counting here I can tell you that now! There’s a copious quantity of butter (after all it is butter chicken! ), cream and honey. But I assure you it’s worth every spoonful. The chicken is marinated & grilled before adding it to the makhani sauce. Tandoori chicken pieces added to the sauce enhance the flavour of the overall dish. Follow my recipe for Tandoori Chicken and can even be done a few hours in advance. Once the chicken is cooked set aside and proceed to make the makhani sauce below. Fenugreek leaf powder is available at Asian stores or you can even grind dried fenugreek leaves. Heat a heavy bottom sauce pan and add the butter. Add green cardamom, cinnamon stick and cloves. Fry for 20 seconds, add the onions and sauté for 5-7 mins on medium heat until they take on a light brown colour. Add the grated ginger and slit green chillies. Fry for a further minute and add the chilli powder, garam masala powder along with the tomato puree. Stir well and cook for a couple of minutes. Now gradually add the double cream stirring continuously to mix all the spices with the cream. Simmer and cook for 2-3 minutes. At this stage add a splash of water if the curry is too thick. Stir in the honey and the fenugreek powder. Season to taste. Now add the cooked chicken pieces and simmer the curry on a low heat for 8-10 minutes. Garnish with coriander and serve with roti or paratha. I’m completely obsessed with Butter Chicken and really miss not being able to buy it her often. The best I’ve ever had was in Nairobi a few years ago and since then I have been trying recipe after recipe to try and recreate it but to no avail. I look forward to trying yours now! Cooked this tonight for myself and my wife. Absolutely delicious. Looking forward to trying a few more of your recipes. I have made this recipe a few times now and it goes down extremely well with family and friends. This is more or less how I make Makhani myself. But a pro chef from Punjab said that traditionally they do not add onion to the makhani gravy. Great recipe, I had to water down the tomato pure/paste (half part tomato pure and half part water). If it’s not watered down the whole dish will taste like its tainted with tomato pure. Thank you. As mentioned in the recipe you can add a splash of water to make a thinner gravy. Also the cream helps make for a rich curry whilst diluting the tomato paste. Hi, what kind of chicken preparation would be best for this dish and how much chicken please? thanks! Hi, If you read the post theer is a link to my tandoori chicken recipe with all the measurements/ quantities etc. Maunika. I just have to try this! It looks so delicious. I *may* have just gone to the Spicery and ordered some spices to give it a go! Will let you know how I get on. Had this for supper tonight. Really enjoyed it …… Although 1/2 tbsp of honey was sweet enough for me. I want to try this dish, but am wondering how you got the color without adding food coloring? Also i am in the US, so dont get Double Cream, can i use Heavy Cream instead? Hi Aruna, Good quality tomato puree will give you that vibrant colour also the marinade in the chicken tikka pieces will enhance it. Yes of course you can substitute double cream for heavy cream. Hope you like it! Thank you so much! Very glad you enjoyed it. Maunika. What else can I use to substitude Double Cream? Can I use coconut cream? Your looking for a rich consistency and traditional butter chicken doesn’t include coconut although you can of course make it with single cream too. This turned out beyond delicious!!…. Thank you for sharing! hello, I noticed that your recipe does not call for fresh tomatoes that needs to be rendered down as shown in other recipes. Will this change the flavours of the dish or will adding only tomato puree suffice? Tomato puree does add the required colour, thickens the gravy and ofcourse is more of a concentrated alternative to fresh tomatoes. Yes it will suffice. Enjoy! Just tried your recipe, loved it and will definitely be making more often, thanks Maunika. I watched your demonstration of this butter chicken recipe with Jamie on food tube and would love to give it a go! 1. 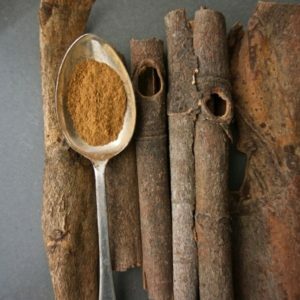 Is it ok to swap whole cloves with ground clove because I have ground one in my pantry already but not whole ones? I meant, would it taste differently? 2. Cardamom pods? 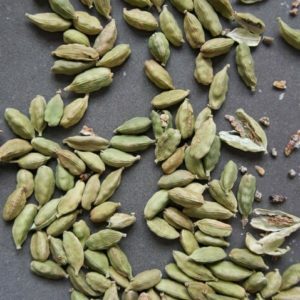 I have cardamom in my pantry and I am not sure where I can get the pods from. Would it make a huge difference? Hi Angela, ground clove powder can be quite overpowering for this dish and the same with ground cardamom. The whole spices lend an aromatic flavour to the curry. Most are available in supermarkets or even online. You can check the diary pages of the website for a spice guide with details of stores where you can find the spices. I was looking for a good butter chicken recipe and saw your demonstration on Jamie’s food tube. I’ve just made it and it is absolutely devine! I will definitely be making this again. TIP: After watching the video of Maunika cook this dish with Jamie Oliver on Youtube, I realized that the tomato puree in the recipe is actually what Americans consider to be tomato paste. TOMATO PUREE = TOMATO PASTE. Made this for dinner tonight and it was the best Indian dish I have made (right next to my mother-in-law’s chicken biryani!). My husband loved this dish and he doesn’t even like butter chicken! Will be making this again and again. Thanks Maunika! I made this using the canned tomato paste we have here in america and added almost 2/3 cup of cream. The tomato paste was very over-powering and the dish turned out sour. Did you use crushed tomatoes as I don’t understand how the taste could vary so much. Thanks for your comment! The recipe uses 3 tbsp. of Tomato puree to thicken and add colour to the curry. You might want to check the strength of the canned paste your using if its too strong/ tart that might be far too overpowering for the dish. The measurements for the cream are also in the recipe. So hopefully if you try it again it should turn out great. Thank you for your enquiry. This recipe serves between 3-4 people. So its easily multiplied to feed 6. Enjoy! Interesting. This is the first butter chicken recipe I have come across that uses tomato puré from a can instead freshly puréd tomatoes. Must make quite the difference in taste. I guess instead of watering it down, one could just thin the gravy with freshly puréd tomatoes? Or is there a specific reason you don’t use fresh tomatoes in the dish? Thank you for your comments. Tomato puree thickens the gravy and also adds the required colour for butter chicken. If you get a really good colour from fresh tomatoes you can use them instead. Hi maunika.. I came across this recipe through Jamie’s food tube videos and now follow you on Instagram. I have always cooked butter chicken with fresh tomatoes where I fry them first then grind so that it retains the colour… For the first time I followed your method of using purée.. It turned out lovely, so thank you for sharing. I think I added a lot of cream so the colour faded away from the one in your pic.. But overall it’s something that I would def try again. I came to know about you from instagram. Then I tried murg tikka and butter chicken. It was so simple and amazing-ly delicious. Thankyou for sharing your wonderful recipes and making cooking more exciting and easy. Having eaten Butter Chicken for years, we have found it to be perfect perhaps twice in restaurants and have been trying in vain to find a perfect recipe. This is phenomenal. We BBQ’d the chicken on stakes instead of using the oven and my Indian husband was almost silent in reverence the whole meal ha-ha. Thank you!!! Recommend doubling the curry and laping it up with Naan! Hi, I made your butter chicken recipe last year and it was amazing. I’m making it again today for a few friends but can’t remember how much it made.. How many was it intended to serve? Its great for 4 so you can easily double up the portions. Hope your friends enjoy it! Can’t wait to try this recipe. 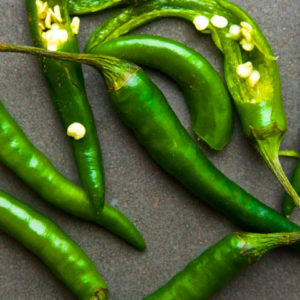 What kind of chillis do you use please? Hi Maunika, just made this after watching you on Jamies’. It turned out to be the BEST murg makhani I have ever made, and so authentic. Thanks heaps!!! Thank you and so glad you enjoyed it! This looks amazing. I would love to try it, but unfortunately I have to be very careful about eating chilli as my stomach can’t handle it (gastritis). I saw the option to use mild paprika, but wondering if I could also get away with leaving the green chilli out completely? Also can you please confirm if the tomato puree you’ve mentioned is what us Aussies call puree (simply tomatoes put through a blender) or paste (concentrated and saltier)? Thank you very much. Yes you can leave the chillies out if you prefer. The paste is thicker and makes the curry richer but if you get good quality tomatoes putting them through a blender and using them would be ideal. Enjoy! double cream or coconut cream? 35-39% cream. I think coconut cream would give it a totally different taste, and would start venturing off into other curry types. There isn’t supposed to be a coconut flavour in this dish. Just made this recipe. It is an exceptionally good recipe. Can I replace heavy cream by plain greek yogourt ? You can either use double cream or single cream which will give it a luscious rich gravy. Yoghurt isnt normally used in a dish like this and has touch of sourness which isnt required in Butter chicken. Hope you enjoy the recipe! Hi Maunika, a Big Thank You for posting this recipe! I made this yesterday for my family and guests. It came out really well and was yummy. Can I double the ingredients if I am making for a larger party? How fab! So lovely to hear that. And I hope they enjoyed it too. Yes you can double them although add ground spices as per taste rather than just doubling. Enjoy! If I had to make this recipe 4x as large to feed many people, would I just quadruple all of the ingredients and perhaps adjust some cooking times here and there? Would it come out the same in theory, or would I run into problems? I was going to use my Le Creuset 5.2L French Oven as the cooking vessel. I made your recipe today – without the fenogreek powder (I only have the seeds and cannot buy the actual leaves) and substituting 1/4 teaspoon of cayenne and 3/4 teaspoon of paprika for the chili powder. It was still delicious. Hi Maunika ☺ If I were to scale this recipe so that I made 4x the quantities of sauce, do I just quadruple all of the ingredients? 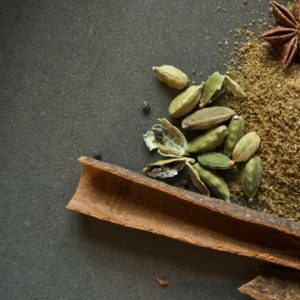 What would your recommendations be for whole spices? And then the chili pepper and garam masala afterwards? For anyone wondering, I simply did x4 for everything, and it actually worked out totally fine. It was so close to the regular recipe that it would be difficult to make the small adjustments to get it to taste the same as the regular recipe. People at the office all said it was the best butter chicken they ever had, trumping all restaurants in Toronto that they’ve tried. So hats off to your recipe! the reason I am asking is that I have to make 4x the quantities of your most delicious dish on the 30th of March for many people at work (including some execs and the CEO), and I won’t really have the ability to make it 2 or 4 times individually – the sauce must be made in one batch. The office only has 1 induction burner that can accomodate my french oven. If I were quadruple everything in the recipe, will 20 cardamom pods and 16 cloves still work out well if it were made in a Creuset 5.3L French Oven?. And what about 4 teaspoons of chilli powder? There isn’t really a lot of information on-line on how to scale Indian recipes in general, so I’m worried the lunch will be a disaster, despite the fact that I know how to make this dish as the current listed recipe. If you can please offer some good advice that will help make my lunch successful, I’d really appreciate it. It would really be a bummer if the dish tasted drastically different at 4x compared to how it would be normally. I ideally want it to be similar. At this point, I guess I’m just going to have to test it at home, and make a bunch of sauce that I will mostly throw out just to see what happens unless you can give me some rough guide as to how many whole spices and target amounts of ground spices to use. I hope you can help. Just wanted to say I decided to make this yesterday for the 1st time and even bbq’d the chicken tikka, I can honestly say it was without a shadow of a doubt the best curry dish I have ever tasted… I am excited already about making it again & again. What a brilliant website you have thank you ? Hi,I just asked you for this recipe and now I’ve found it lol. I shall be trying it soon thank you for your continuous authentic recipes . Is this essentially the same as Chicken Tikka Masala? I’ve never understood the difference. At any rate, great recipe! I have never made a better butter chicken! This was delicious but my sauce was a bit too thick even though I added a bit of water. Next time shall I add more water or more cream? I want it to be saucy not watery. Yes ofcourse you could thin it out either with a little bit of water. If you find cream is too rich you can also opt for milk instead of cream if you prefer. thanks a lot for this great recipe. You are really a big Inspiration for me. For the butter chicken I used more Tomatopuree and cream in order to get more Sauce- and 1 tsp. Honey was enough for my taste. When will your book appear in german language? I must be blind…. I can’t see anywhere in the recipe as to how much chicken I need! Oh my goodness what a delicious curry! The flavour is perfect with a little bit of heat to follow. So glad I had a little extra for lunch today ? With Maunika’s Naan bread just delicious. I really enjoy your recipes. Will your book be available in the US soon? Would like to make butter chicken but the idea of adding double cream is out of the question as cream doesn’t agree with my wife makes her ill. What are the alternatives please . Hi John, You could add yoghurt instead if you prefer just make sure to whisk it well before adding. Enjoy! The above recipe doesn’t have the portion of chicken to be used. Is it 1 kg? Maunika,is fenugreek leaf powder the same as fenugreek powder you can buy in Asian shops . Hi Maunika can you please tell me if fenugreek leaf powder is the same as fenugreek powder .Am I confusing myself. Thanks. Fenugreek powder is made from the seeds. 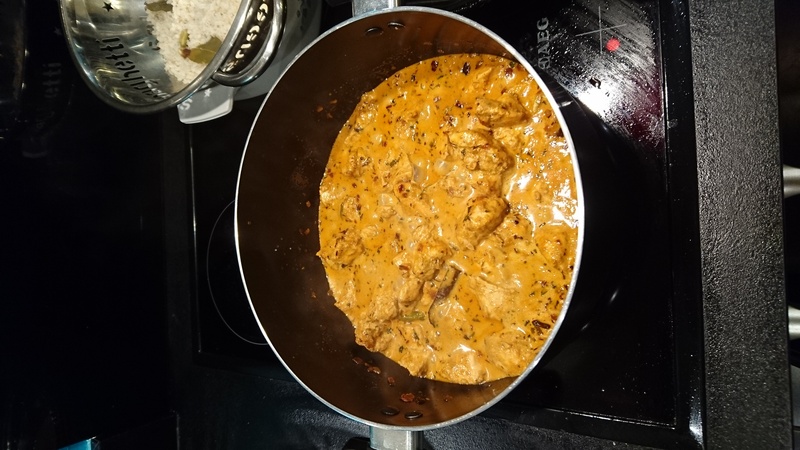 For this Butter Chicken recipe you required dried fenugreek leaves which have a different flavour and work really well in lots of Indian curries and stir fries. It is also known as Kasoor Methi. You can find it at Asian stores and online shops too. Hi Maunika,have you cooked Anglo Indian recipes? We dont have any on the website at the moment! Sorry! this recipe is the best.. I loved it.. It came it to be perfect.. Thank you so much..
Thats so lovely to hear. Thank you so much! This was really the best and authentic recipes for butter chicken. In your video you also added coriander powder, did you forget it or was it optional? Yes ofcourse do add some! Hi Maunika is it possible to make this curry ahead of time and reheat it? I’m thinking of making it as part of a dinner party and would be great i could make it in the morning. Thanks! Yes ofcourse! Make ahead and just reheat when your ready to serve. You can also add the chicken or vegetable in advance if you wish. Enjoy! Hi Maunika, I haven’t cooked this recipe yet but it looks very delicious. I just have a couple of questions. If I wanted to cook 1kg of chicken, shall I double the quantity of ingredients? Is there any way to make this without having to use the grill? Like all in one pot? The tomato puree you used, is it double concentrate or single? That depends. I’ve used 450 gms boneless chicken. The gravy recipe also works in similar quantities when I use around a kilo of chicken on the bone and I dont change quantities much unless I need more chilli or cream:) Hope that helps! Did you mean tomato paste instead of puree because it looked thick like a paste. Sold in the UK as tomato puree it is the thicker tomato concentrate used for a rich gravy and also for a lovely colour. Thank you for the clarification 🙂 Making this tomorrow. Made this today and it went down a treat, so full of flavour and easy to make. My wife is intolerant to cows milk so I used a soya based yoghurt, soya cream and goats butter as substitutes for the dairy products. Delicious, thanks. Hello please can you share the tandoori chicken link again, I cannot seem to access it. I really enjoyed making this! It tasted fabulous! I was wondering, if there’s a recipe on the site for the bread in the picture? Thanks heaps! Hi Maunika, what is the difference between a chapati and a paratha? Their different breads and so are the techniques of cooking them. Both recipes in my book Indian Kitchen. Hi Maunika, I am cooking this as part of some other dishes and wondered if I can cook the sauce in this recipe ahead of time and keep in the fridge to heat up later? Yes of course! You can make the gravy and marinate the chicken too. The gravy can be refrigerated or frozen. When you serve reheat the curry and separately cook the tandoori chicken in the oven then once they are cooked add them to the warm gravy. Hope you enjoy it! Hi, You haven’t mentioned How much gram Chicken? Do I whisk the cream then Add to the gravy? Also We get Tomato Paste in our local grocery store? Is Tomato puree and paste same?? Oh yum. I am trying this recipe! Hi. Do you have to make the marinade like in the video? Or can this work with just the sauce? Hi Maunika! You’re a wonderful teacher, i learnt how to make butter chicken by watching you on the jamie oliver channel. It turned out great and was a hit in my household. I doubled the recipe and the gravy looks very oily. Any way that I can correct this? I think it’s pretty common for this dish to appear ‘oily.’ It has a lot of fat in it. But it’s delicious! If you are doubling the recipe try and make sure there isnt too much butter and swap the cream for milk which will make it lighter. Or else the dish can be heavy. Add butter or ghee as per your requirement! Hi there, will this gravy freeze well for a week? Or would you recommend putting the cream in after defrosting and reheating? Or is it ok to freeze the whole dish with the chicken in it? Yes freezes well just defrost and reheat as required! Colour on the curry i made is not so red what else did add? 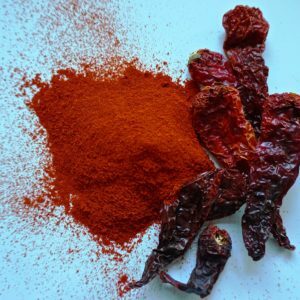 The colour is dependent on a few things- Using the right kind of chilli powder is key and I opt for Kashmiri chilli powder if you cant get hold of it use a paprika which will lend a vibrant gorgeous colour. Also a good quality tomato concentrate helps the gravy colour and consistency. The colour is dependent on a using the right kind of chilli powder is key and I opt for Kashmiri chilli powder if you cant get hold of it use a paprika which will lend a vibrant gorgeous colour. Also a good quality tomato concentrate helps the gravy colour and consistency. I’m just assembling this fine dish, I personally would say that the flavours are beautifully subtle , nice gentle heat, perhaps slightly too sweet for my own tastes but what a fabulously intricate balance of flavours. Coupled as suggested with the tandoori chicken does absolutely give it so much extra depth . Ooh, and the colour (?! ), looks exactly as photographed with the full generous teaspoon of Kashmiri Mirch chilli powder and slightly less cream with a smidge extra water . Thank for this so wonderful to know that you’ve enjoyed it! This looks amazing! Was a regular dish when I lived in Vancouver, must try this 🙂 Do you have the recipe for paratha? Recipe for buttery parathas in my cookbook Indian Kitchen! Thank you so much glad to hear your enjoying the recipes! Tried this recipe many times but still can get the color right, used the best tomato pastes and pure Kashmiri chilli powder from the source also added saffron but the color still bordering orange rather than yours unless the photo has been edited! No image edits here! The recipe uses tomato puree rather than a paste. Although not every tomato paste or chilli powder is universally alike:) The aim with all the recipes on the website is to give you a taste of the recipes Maunika loves. Hope its tasted delicious! Tried this recipe and it turned up good but a there was a significant bitterness. I think it wasnt there before the honey. Any idea where this bitterness could come from? I followed the recipe but I used ginger powder (couldnt buy fresh one). Thank you for your comment although never heard of this happen before. Perhaps you could swap the honey for sugar if you prefer. Also fresh ginger has a different flavour to dried which can alter the dish slightly. I think you may have added too much of the fenugreek leaf powder as I feel it gives a bitter taste if too much is added. If you added only 1tbsp as mentioned in the recipe maybe the fenugreek leaf powder you have is stronger than the one used in the recipe so you could add even less of it next time. I made the dish but instead of being creamy it cane out very oily – followed all the steps any suggestions ? I’m not sure as you havent said if you have altered it in anyway. The key is to cook the gravy for the time mentioned. Any longer the oils in the double cream will yield themselves. How much chicken is this recipe good for? Please follow the link for the tandoori chicken recipe! Anybody know how to double or triple this recipe? and cardamon pods – remove after cooking or leave them in as little surprises for your guests?? Leave in the curry until your ready to serve. The flavour develops over time! I’d like to try this recipe switching chicken for paneer. Would you marinate the paneer the same way than you do with the chicken ? 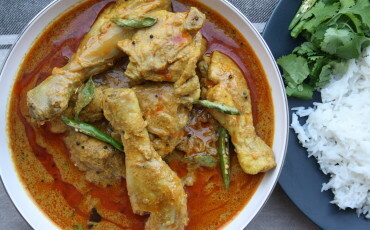 Hi Maunika, This is another curry that I love. I have cooked a Vindaloo from scratch and I have been wanting to do a butter chicken. I bought a butter chicken recentlly and I found it was too sweet. I was wondering can I add more chilli powder to this recipe to give it more spice heat? If so how much can I add without over powering the recipe and taking over the other flavours of the recipe? Thank you! I suggest adding green chillies (leave the seeds in) at the end while simmering rather than chilli powder. Hope you enjoy it! Thank you very much. I will diffently be trying your recipe of the butter chicken. Hi there, I am going to make this for 20 people. Would I times all ingredients by 5 or can you advise me please? I’m half Indian but never try making Indian food at home and this was my first try! OMG I didn’t know it’s so easy to make and by following your recipe, My butter chicken was definitely better than any Indian restaurants in Japan! One question, If I don’t really have time to make chicken tikka in the oven, can I just pan fried and add to the gravy? Or even just add uncooked marinaded chicken to the gravy? Yes you can just pan fry the chicken in a really good amount of butter. But don’t add the uncooked marinaded chicken directly to the gravy as it will take a lot of time and the gravy will lose a lot of its water content in the process and might get reduced to basically nothing. In the ingredients list on the left hand side, i don’t see see chicken listed. How much chicken is required to make this recipe? Refer to my notes there is a link for the Tandoori chicken recipe. Fantastic recipe, so good that it prompted me to order your book! I have been trying for years to find a great butter chicken and this is by far the best. The only thing is that I would like to make this for more people, any tips for increasing the quantities? Yay! Hope you enjoy the recipe in the book. Yes you can increase quantities although all recipes serve 4-5 in the cookbook. I had tried two of your other recipes (Khichdi and Aloo Gobi) which both turned out fantastic, prompting me to try your Butter Chicken. Hands down, the best Butter Chicken I have ever had, and more to the point… made!!!! Cloves of garlic or ?! 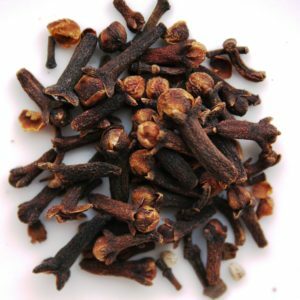 It is the whole spice cloves. I’m making this tonight for 10 guests (also cooking your tadka Dahl) and adding some paneer as half of the guests are vegetarian. I’d really like to make it ahead of time but am concerned the cream might split – what would you recommend? I’m stressed about the timing! Using heavy cream/double cream ensures it doesnt split.Just make sure its simmering over a low heat rather than boiling. You can make the curry in advance, marinate the chicken and the day you are serving. cook the chicken, add it to the gravy and reheat the curry. Enjoy! I made this and it was amazingly nice. My father who is elderly asked for seconds. I recommend this. Easy to make. What can I substitute for kasuri methi? Can I use the kasuri seeds or crush them or something? Not the same flavour although if you cant find any just leave it out! Hi there. What can I substitute the fenugreek leaf powder for? In your you tube video you put in ground coriander but this recipe does not show this? I am going to x4 the recipe and was wondering if I could use a mixture of cream and milk? I love your recipes and can’t wait to try this. You can pat over the excess marinade onto the chicken while its cooking! This looks quite tasty and amazing. Will try this at home this weekend. Hi Maunika! Would you have a substitute for heavy cream if you’re trying to make the dish healthier? Thanks! Use milk if you prefer although adjust cooking times and quantities you want a creamy gravy so milk might make it a thinner gravy. Is it possible (better or not?) to make this with Ghee instead of butter? Thanks very much. I love butter chicken, but I’ve never made it at home before…looks so comforting and delicious! hi, do you think i could substitute the cream/milk for cashew nuts and how would i do this? I would say soak cashews and make a paste from that using a blender/food processor. It would really be more of a korma then though. Perhaps a think, unflavored almond milk coffee creamer would work better. Almond milk would be great! Hello, I just made the butter chicken gravy and it was delicious. However, some bites were overpowering. I think it may have been some chunks of the cardamon pods as the instructions stated only to crush them lightly. Should “lightly crushed” leave large pieces of cardamon in the gravy? Need some advice on how to smooth out the flavor profile. Perhaps blending more into a puree and/or adding a little sugar or more honey to balance? So delicious, but my first attempt can be even better! You can discard the cardamom once its all cooked. Thanks for such a wonderful Recipe. Will definitely try it. Thanks for the recipe. I am making it for the third time. I watched your video more than once. As the exact amount of ingredients are not entirely clear for me (and the recipe differs from the video), the taste varies a bit from one time to the other. But we love it each time! Greetings from The Netherlands. I cooked this today, it was far superior then my local Indian restaurant’s efforts,who cook for a profit using the cheap hormone grown Ingham’s Chickens who supply KFC and red rooter. I browned the free range, marinated thigh fillets on my home made beer keg wood fired BBQ till they had good char on them but not cooked thru. It was tremendous success and loved by one and all! Keep up the good work Maunika! We will buy a book for sure!